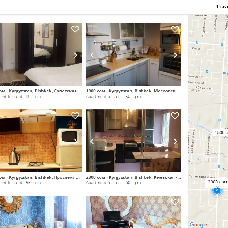 The site belongs to the PlacetoStay company - a trusted community marketplace for people to list, discover, and book unique accommodations around the world — online or from a mobile phone or tablet. Whether an apartment for a night, a castle for a week, or a villa for a month, PlacetoStay connects people to unique travel experiences, at any price point. And with world-class customer service and a growing community of users, PlacetoStay is the easiest way for people to monetize their extra space and showcase it to an audience of millions.